Hurco is just one of several Indiana companies that are playing a part in building this next-generation attack submarine. The steel used to build the ship is from Gary in northern Indiana. The wooden veneer used comes from southern Indiana. Crane Naval Surface Warfare in southern Indiana played an important part as well. These are just a few of the many Indiana companies that are helping to give our state’s namesake that Hoosier touch! 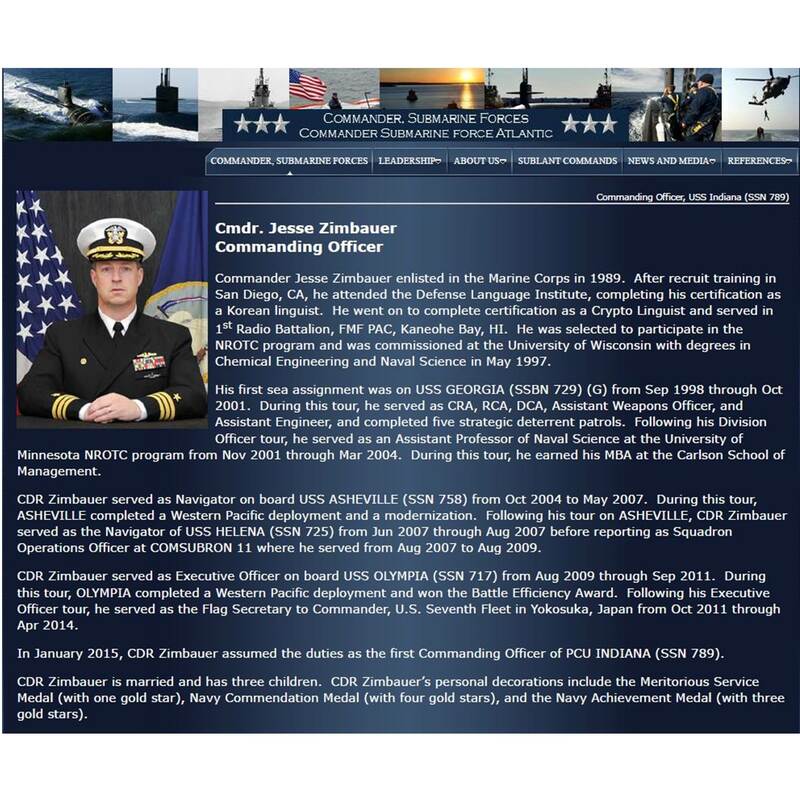 The reason CDR Zimbauer says that their submarine is “Hurco made”, is because Virginia class submarines are built under an arrangement between General Dynamics Electric Boat, and Newport News Shipbuilding in Newport News, VA. Both of these companies are Hurco customers, and have many Hurco machines in their shop. With a length of 377 feet, a beam width of 34 feet, and weighing in at 7,800 tons, the USS INDIANA will be capable of steaming at more than 25 knots while submerged, and is designed with a reactor plant that will not require refueling for the next 32 years. 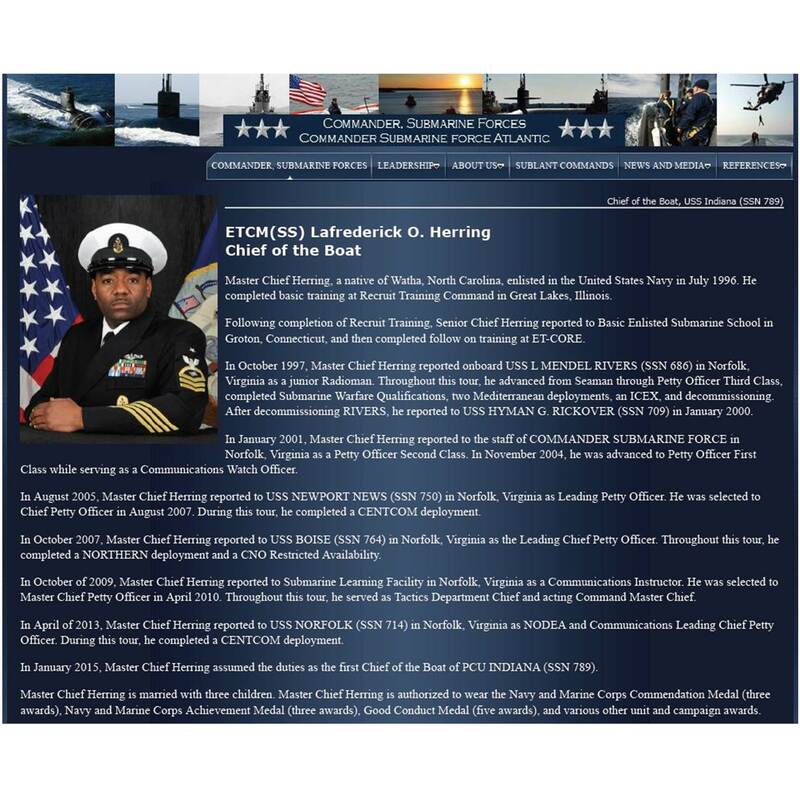 The skipper told us that the USS INDIANA will be the most advanced warship in the world, and with the average age of the 135 man crew only 22-25 years old, the last couple of crews who will man this submarine “haven’t even been born yet”…something that I still have trouble wrapping my mind around! 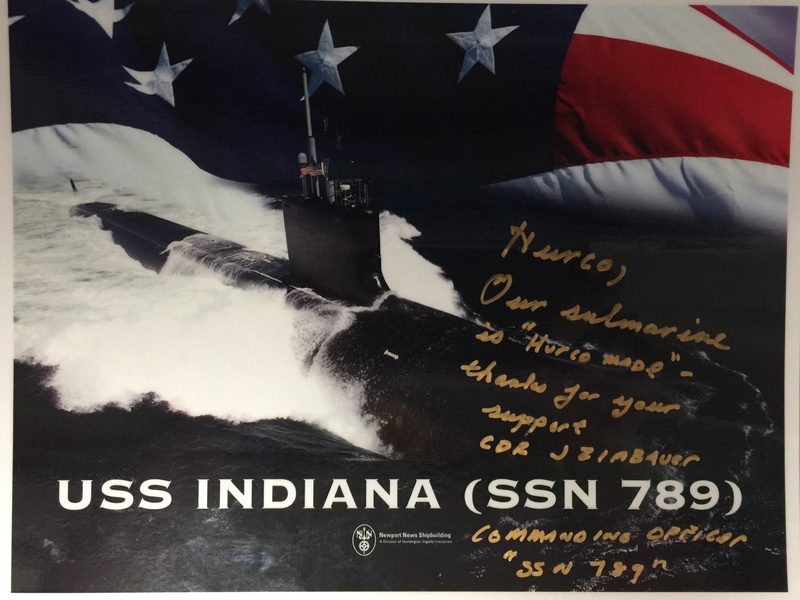 Commander Zimbauer told us that the USS INDIANA will provide the US Navy with the capabilities required to maintain the nation’s underwater supremacy at sea. She will also provide the capability to attack shore based targets with highly accurate Tomahawk cruise missiles, and conduct covert long-term surveillance of any land areas, littoral waters, or other sea-based naval forces.